That’s pretty much it. I mean what else is there to be said? 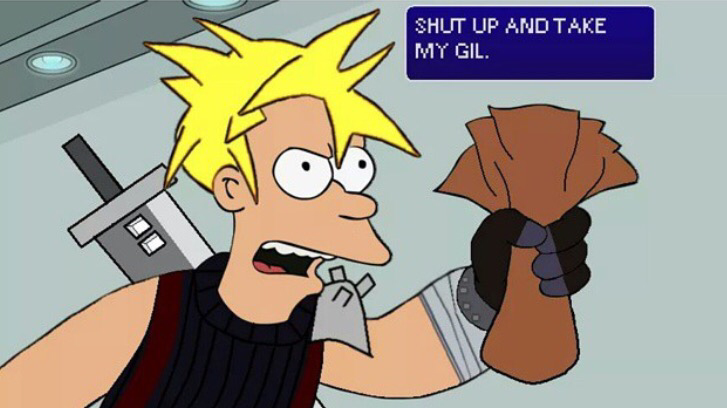 Unless you’ve been living under a rock in the last 24hrs, there were rumors that a FF7 remake was going to be announced by Sony. The lie detector determined that was true and Square says we get the game in 2017. Everybody rejoice! Take a look at the trailer below. It’s only been one day into E3 and I already give E3 2015 an A+. ← The End of an Era. Here is Hideo Kojima’s Last Metal Gear Trailer Ever.